Just a Caprice? Or abigoccasion? Whatever is thereason why you'resendingflowers ..thisbouquetis perfectfor all occasionswhereyou want to bringcolorandvibrancy..Bring thejoyin a few simpleclicks! 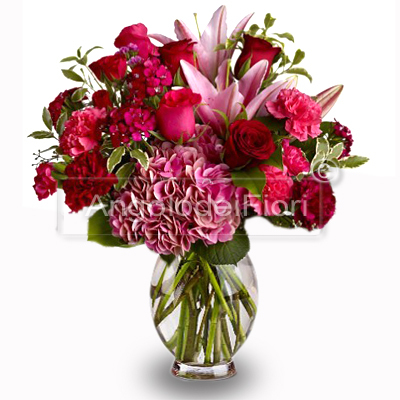 More about this bouquet:This bouquet includes flowers with strong colors such as Lilium, roses and carnations ... the shades ranging from pale pink up to red! !